breaks or you break it, we’ll repair or replace it. This applies to our authentic, made in America B&T products including those that have been refinished then assembled with our proof mark. If you or someone else disassembled, coated, then reassembled the product that broke, we will repair it at cost. 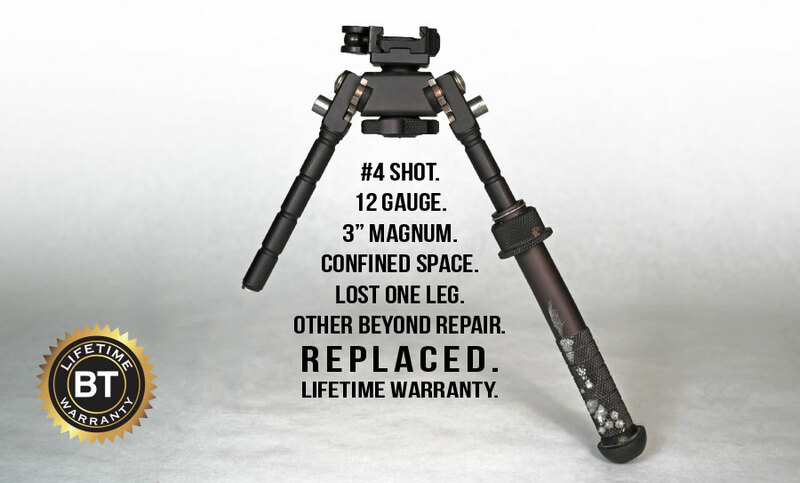 Please Note: B&T Industries LLC’s warranty does not apply to counterfeit, copy, fake or knockoff Atlas Bipods. We will, however, accept these counterfeits, copies, fakes and knockoffs for the Wright Project.